A page from one of the fully transcribed ledgers, showing the consensus text on the left. I am delighted to let you know that two full ledgers (mssEC 03 and mssEC 24) from Decoding the Civil War have been fully transcribed by volunteers, and subsequently added to the Huntington Digital Library with the consensus transcriptions in a searchable format! 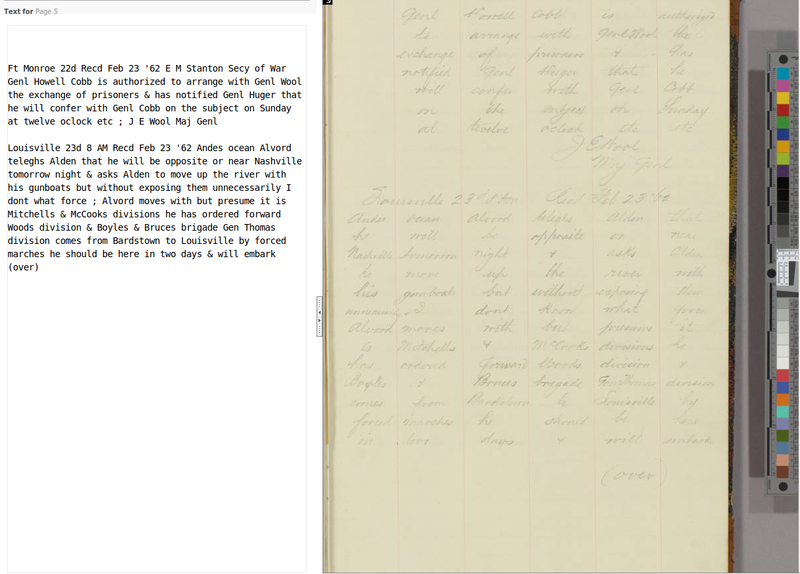 Read more about the progress being made on Decoding the Civil War in this blog post by the lead researcher blog.decodingthecivilwar.org/2017/01/30/ledgers-with-transcriptions.